"Helping Families Put The Puzzle of Life Together"
Please help us in our continuous effort to bring our Adult Education Center's Vision to life: To prepare students for educational success, by creating the footprints that lead them to their individual pathways to lifelong learning, and our Organization's Goal: To help minimize educational and residential barriers which prohibit individuals and families from achieving self-sufficiency. CHEA Adult Skill Center closings watch ABC 12 Local News Station or WNEM TV5. Holiday closings refer to our 2019 Calendar. The Center for Higher Educational Achievement is committed to community and personal development by providing programs and environments which nurture individuals and families. CHEA Adult Skill Center: The Center is designed to provide educational training for adults age 25 and older, who are overlooked, distracted, discouraged, and embarrassed when he/she attends alternative education programs, along with younger students who also did not complete their high school education. CHEA Adult Skill Center provides a mature academic environment which promotes learning, academic independence, and assists adult learners in removing previous learning barriers which occurred during their years as a youth. Peerage students, encourage one another as they seek to obtain skills for greater economic opportunities and self-sufficiency. Students receive one-to-one academic training in: English as A Second Language (ESL), Adult Basic Education (ABE), Pre-General Education Development (Pre-GED), and General Education Development (GED). Additional programs such as job readiness training, financial literacy, and basic computer keyboarding, are also available. CHEA Sustainable Community Housing Program: Helping low-to-moderate income families and individuals obtain affordable shelter, which is a basic need towards self-actualization, is the sole purpose of CHEA Sustainable Community Housing Program. CHEA's rental home program offers newly renovated properties for rent. Houses are remodeled by retired U.S. veterans and inspected to meet HUD & Michigan’s housing codes. CHEA "Use of Knowledge is Power" Radio Show: CHEA "Use of Knowledge is Power" is broadcast live on Flint’s community-based radio station AM 1420-WFLT. The goal of the show is to transform extended services offered at CHEA’s Adult Skill Center into a continuous conversation, in hopes to changing the minds of the adult listeners to become lifelong learners, and the benefits it will have on their economic growth, child development, self-esteem, and community development. The benefits of the radio show are the understanding of educational attainment is more than an academic degree. Any enlightening, informative, and illuminating information that brings new knowledge that enables a person to become the best person they were created to be will positively impact their lives and change the people and the community around them. Weekly, professional guest speakers, share knowledge on specific topics relating to: adult education, parent education, K-12 schools, employment, job readiness training, financial literacy, prison reentry, and veteran services. Listeners can participate in the conversations to ask questions or share ideas. CHEA "Use of Knowledge is Power" Televise Show: Hosted on Comcast Public Access Channel 17, the television show is a replica of the radio broadcast show. The pre-recorded shows are only available to Comcast viewers in Genesee County (Michigan). Our goal is to provide greater economic opportunities through education, job training, and affordable housing, for individuals and families to have a self-sustaining life. There is an income based eligibility for most free services. All services are free to seniors over the age of 60 and Genesee County U.S. Military Veterans. No walk-in services is provided. 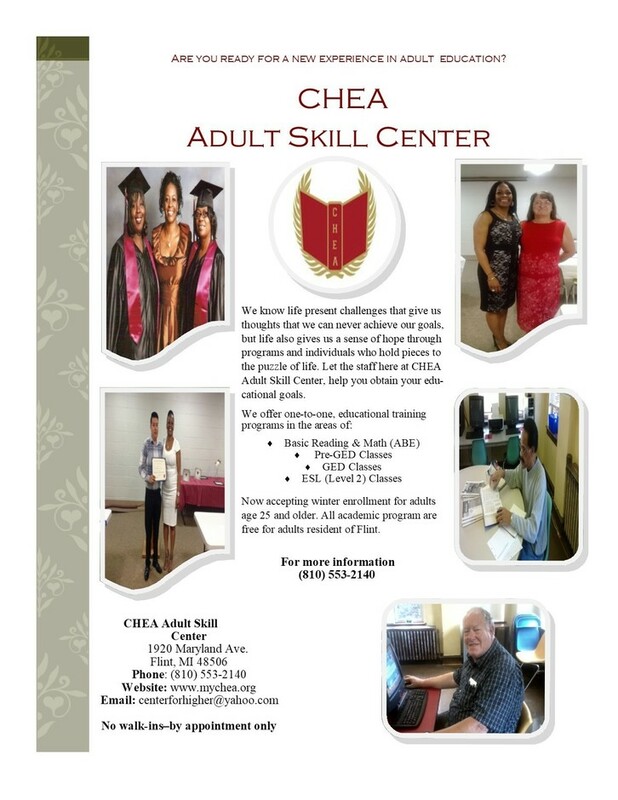 The first of its kind, CHEA Adult Skill Center provides academic training for the mature adult age 25 and older. This unique Center help to retrain older adults to increase educational and job readiness skills, to obtain employment or to enroll in post-secondary training. 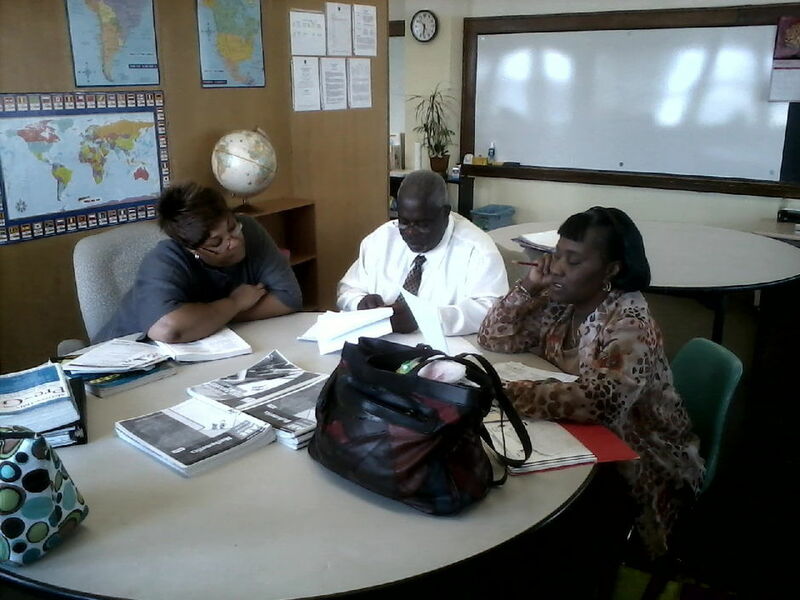 We provide one-to-one training, along with grade level individualize Lesson Plans. CHEA Adult Skill Center prides ourselves in being a leader in helping adults obtain the skills they need to meet today's employment challenges. 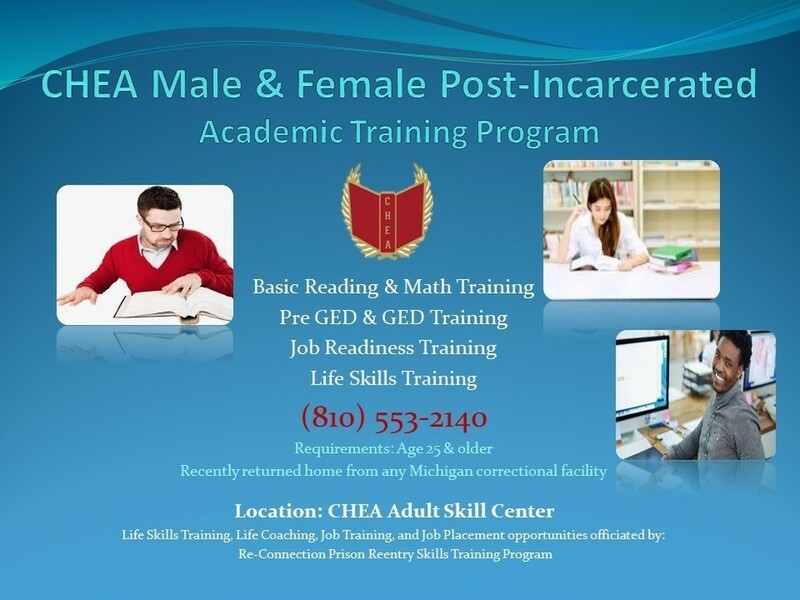 For males & females age 25 and old, who previously returned home from any Michigan correctional facility. View previously recorded CHEA "Use of Knowledge is Power" Radio Shows. 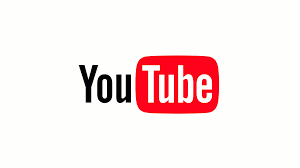 For great adult learning teaching, techniques visit our channel. Don't have AM radio or a computer? Watch CHEA "Use of Knowledge is Power"
It's never too late to return to school! We know life present challenges that give us thoughts that we can never achieve our goals, but life also provides us a sense of hope through programs and individuals who hold pieces to the puzzle of life. Let the staff here at CHEA help you connect your educational, job readiness, and housing, puzzle pieces together. You just might need to try a new approach! | T & M | Copyright © 2011. All Rights Reserved.